Chagai district is situated at a distance of 300-Km in the Northwest of Quetta city. Chagai comprises of deserts, mountainous and plain area and shares borders with Iran and Afghanistan on west and north respectively. Chagai has a population of 226,008 which is scattered on almost all corners of the district. Under Local Government Act 2010 elections were held in Balochistan in December 2013 and elected representatives assumed charge in January 2015. Since assuming office Local Governments have not met up to the expectations of the people. Haji Agha Muhammad Hassani, a trader, runs his business in the center of the town. Narrow roads, traffic jams and flow of drain water on roads have made it difficult for his customers to reach his shop. He blames Local Government of Chagai for the unresolved problems of the city center which have affected his livelihood. He says he had raised issues related to cleanliness, traffic jam, and encroachments in Dalbandin with Chairman Municipal Committee Waheed Notezai but nothing was done. “I am disappointed by the Local Government System,” He told Balochistan Voices. Chagai has total 11 union councils and one municipality with 8 seats in Dalbandin city. Baba-e-Chagai panel of traditional ruling Notezai family faced tough political competition from Islami Taraqqi Pasand panel in last local Governments election which was held in December 2013. On the day of elections for Chairman District Council and Chairman municipal committee, there was a tie because candidates from both panels obtained equal votes. Baba-e-Chagai panel’s candidate for Chairman District Council Mir Dawood Khan Notezai and Islami Taraqqi Pasand panel’s candidate for Chairman municipal committee Waheed Khan Notezai won their seats through a toss which was used a tie-breaker. Sitting in the old and moderately decorated office of Municipal Committee Chairman is Waheed Notezai. In his early 30s, Waheed belongs to PML-Q and He was elected to the office of Municipal Committee in January 2015. That was an impressive beginning of his political career and he anticipated playing a role as Chairman Municipal Committee to help his voters and further his political career. However, He is disappointed the way Local Governments have functioned in last 3 years. “Local Governments are just a showpiece with no financial and administrative powers. He said his whole council members are deprived of their basic salaries,” He told Balochistan Voices. He added that municipal committee Dalbandin needs at least 50 sweepers, 5 tractor trollies, 2 dumpers, 2 tankers. Whereas currently, it has only one tractor trolley with 14 sweepers to collect garbage from the municipal area since 1985. 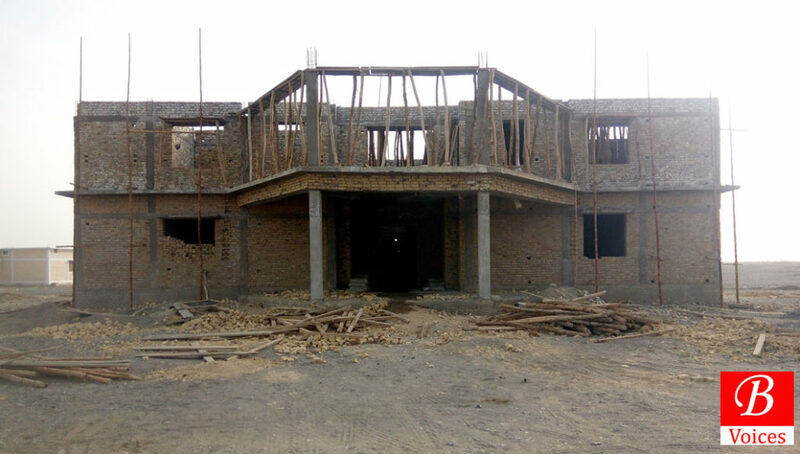 Waheed complaints that He is not even taken in confidence over the development works carried out in the Municipal territory by the provincial government. Every year a budget of Rs. 150 to 200 million is passed for the Municipal committee but it hardly gets Rs. 30 Million laments chairman of the committee. “As a result, local Governments representatives are compelled to stay absent from their offices and confined to holding just budget sessions annually,” added Waheed. Amanullah Notezai is Chairman union council Patt-e-Guwanakkoh and also district President of PTI. 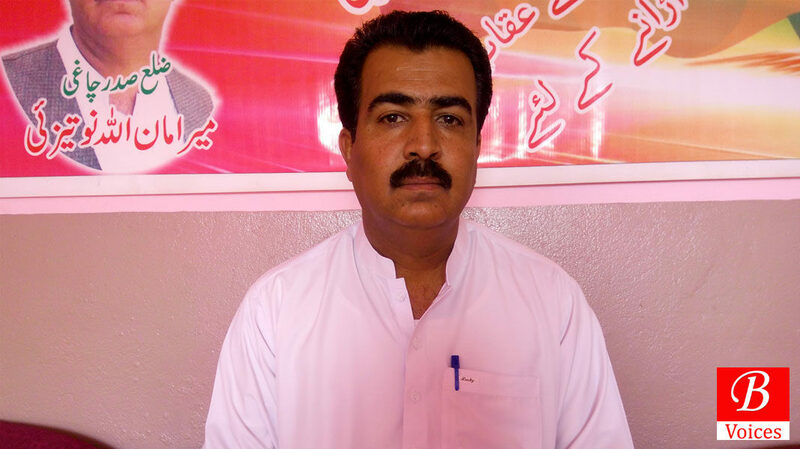 He is an active member of the opposition in Local Government setup of Chagai. He termed the non-functional Local Governments as a democratic failure while talking to Balochistan Voices. “MNAs and MPAs are getting all the development funds despite the formation of Local Governments which is incomprehensible,” Added Mr. Amanullah. He urged restoration of Local Governments Ordinance 2001 where Local Government representatives were fully empowered. “Promotion of agriculture and livestock, provision of clean drinking water to far-flung areas and construction of dams to reduce the impact of severe famine is the need of masses in almost every union councils but we are being paid only Rs. 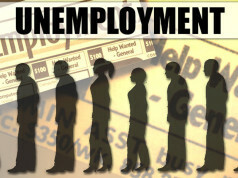 2 million every year which do not meet the requirements,” He lamented. PTI district President said that representatives of local Governments in Balochistan arranged several protest demonstrations against current local government act and non-provision of funds and administrative powers but nothing was achieved. Haji Agha Muhammad Hassani claimed that the elected members of local government even don’t come to their offices which compels people to discuss their issues with bureaucracy. Haji Arz Muhamad Barech is the Chairman Union Council Nok Kundi. He is a stalwart of ruling PML-N in district Chagai. He also expressed his disappointment over the performance of Local Governments in District Chagai. I have spent Rs. 14 million on the development of my constituency in last three years from my own pocket to save my political career because I am not getting funds from Government,” claimed Mr. Barech. Balochistan Voices could not independently verify this claim of Chairman Union Council Nok Kundi. He believes that Local Governments can have some relief when a new government is formed after general elections this year. Maqsood Ahmed, a student who belongs to Killi Kohi Khan also feels disappointed with the way Local Governments have performed so far. He believes that there are clean drinking water shortage and broken roads but Local Governments have not done anything to resolve these problems. 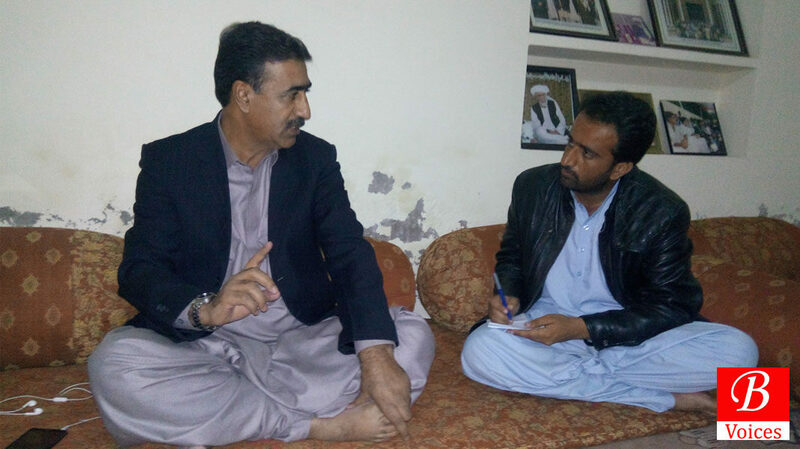 “I bring up the issues related to Local Government with Union Councilor of our area Badal Khan Notezai but He is helpless to do anything,” claimed Maqsood while talking to Balochistan Voices. 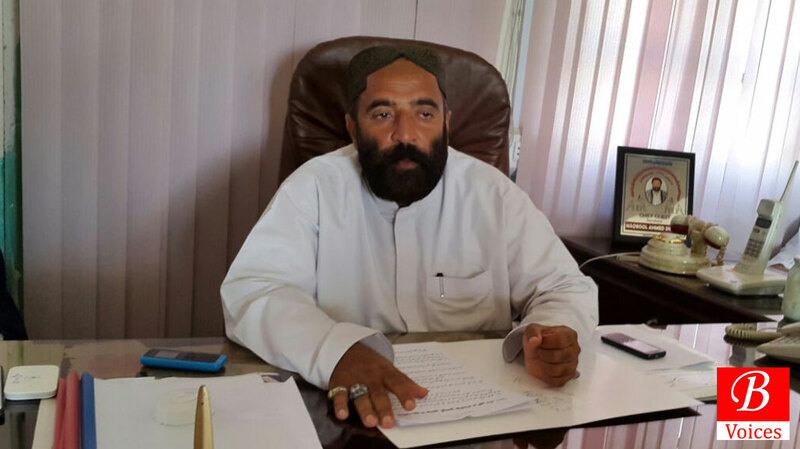 Muhammad Hashim Notezai, who belongs to Balochistan National Party (Mengal), served as Chairman District Council Chagai from 2005 to 2009. He said that Local Governments can’t deliver if they don’t have funds and executive authority. Former Chairman told Balochistan Voices that Chagai used to receive funds of Rs. 35 to 40 Million per year without any delay. “We could recruit employees in all provincial departments, impose taxes and the whole district bureaucracy including the DCO was also under the domain of District Council,” he revealed. 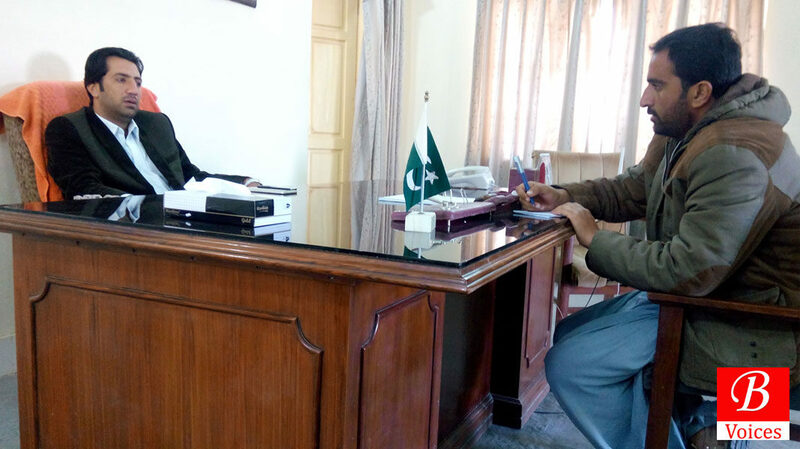 Remembering his good old days, Muhammad Hashim said that He appointed over 200 employees in Health and Education departments in district Chagai because He had executive authority. He said that without handing over required authority to local body members the Local Governments would not achieve its goal to deliver services to masses and resolve their basic issues. Chairman District Council Chagai Mir Dawood Khan Notezai was not available for comments when contacted by Balochistan Voices. The staff members in District Council office confided to this scribe that even District Council elected members don’t get their salaries. Presently, there is no proper office for District Council and the new office buildings are under construction for more than a year. Keeping Local Governments powerless is Deliberate? Shahzada Zulfiqar is a senior analyst based in Quetta. He believes that the problems of Local Government in Balochistan started when PPP government in 2010 replaced Musharraf era Local Government Ordinance 2001 with Local Government Act of Zia era. While talking to Balochistan Voices Zulfiqar said that in current Local government Act of Balochistan the role, power and financial authority of Local governments is not clearly described which prevented them from working effectively. “Members of Provincial Assembly deliberately didn’t empower Local Governments because they fear that if Local governments are empowered then people will go to them and the influence of MPAs will diminish,” he added. Maqsood Ahmed suggests that if the government was not willing to transfer the powers to gross root level than there was no need for conducting elections for Local Government in Balochistan. 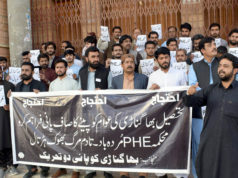 Next articleIs Lasbela University on Right Track?